Bimetal Thermostat Models ISQA, ISQB and ISQC have been developed after extensive research and development by our engineering team to address the customers’ requirement of durability, rigidity of body and ease of mounting. These bimetal thermostats are the newest models in our range of products. Each bimetal thermostat has a solid machined aluminum body to provide greater strength. 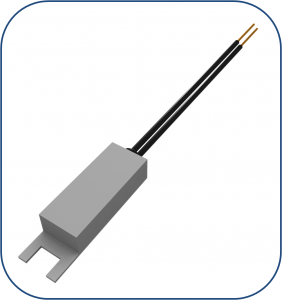 Due to the metal body, these bimetal thermostats have better heat sensing capability than ordinary thermal overload protectors. All the three models have different mounting arrangements to suit the customers’ needs. 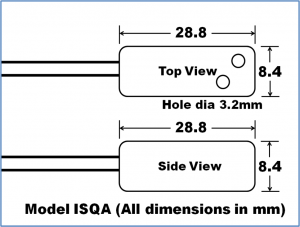 Model ISQA has two holes at the end, by which it can be screwed on to any flat surface. 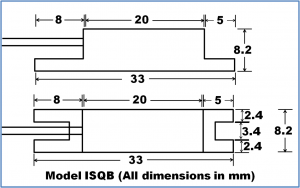 Model ISQB has two grooves, one on each end. It can also be mounted with two M3 screws. 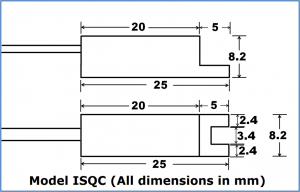 Model ISQC has only one groove at the end, by which it can be screwed. The outer metal body of all these bimetal thermostats are electrically insulated, as there in inbuilt engineering polymer electrical insulation inside, and so there is no chance of any electrical shock. All the internal components are spot welded on a stainless steel housing plate. The operating principle of these thermal overload protectors are based on the over center mechanism which operate a snap action bimetal with a beryllium copper switching blade. 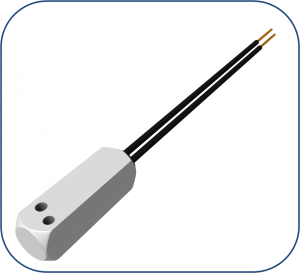 This provides the bimetal thermostat with quick restart and stable trip temperature. The normal snap action disc thermostats are have delayed restart and the trip temperature drifts after long usage. The contacts are made of solid silver for long life. It is available with Normally Closed or Normally Open contacts. Due to the aluminum body, response to temperature rise is fast, and when the equipment overheats, the thermal overload protector will trip off, ensuring complete protection. Snap Action for quick make and break switching. Chattering free and precise operating characteristics. Solid silver contacts for long life. Sealed body resistant to moisture, gases, fumes and varnish. Trip Temperature Available preset for any trip temperature between 50 ± 5 C to 160 ± 5 C specified by customer. Not adjustable. Reset Temperature Reset temperature approx. 15 ± 5 C below trip temperature.